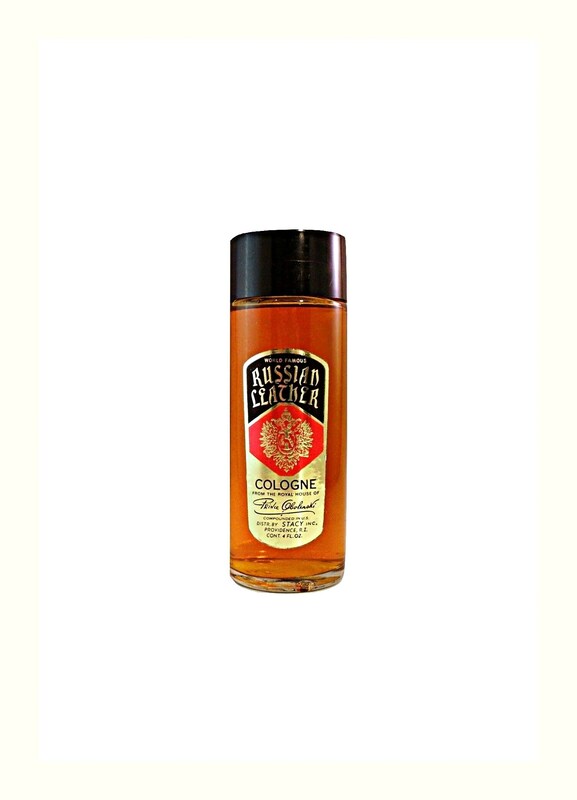 Vintage 1950s Russian Leather by Prince Obolenski 4 oz Eau de Cologne Splash. Distributed by Stacy, Inc. Providence, Rhode Island. Compounded in USA. The Eau de Cologne is full to the top, I just tested this on my hand and it is still decent smelling, though very light, this is meant to be splashed liberally over the skin.